A media site recognized by the Joint Commission for Publications and News Agencies, Louisbachelier.org addresses topical issues in economics and finance viewed through research. By means of articles, video interviews and editorials, the site brings together analysis by researchers and professionals. All issues of Louis Bachelier Cahiers and Opinions et Débats are also available online. In addition, a schedule lists the main scientific events in economics and finance held in the Paris marketplace. 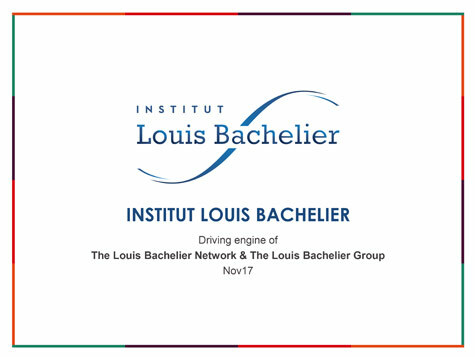 In line with the missions of maximising the impact of scientific research and sharing it with as many people as possible, the presence of the Institut Louis Bachelier on social networks is paramount. Since 2013, six accounts have been regularly updated with the latest publications from the Louis Bachelier.org media site, the work of our research programmes, and news of the sector and our whole ecosystem. The attention paid to this activity shows that it is a valuable source of knowledge and discussion for our public and our stakeholders, as well as meeting the challenge of high impact media coverage. Indeed there is increasing regular interest on the part of all types of Internet users.